Parsi Festivals Of India, Zoroastrian Festivals In India, Zoroastrian Holidays, Festivals Of Parsi, Indian Parsi Festivals. Find out information on major Zoroastrian festivals and holidays. The Zoroastrian, or Parsi, community is the smallest major religious group in India. They number about 100,000, and are concentrated overwhelmingly in Mumbai city and in the state of Gujarat. That is one reason why Parsi festivals are not highly visible. Another, and equally important, reason is that Parsi festivals are not accompanied by public ceremonies and attendant features like music and celebrations. The Zoroastrian religion is founded on the three tenets of 'Good thoughts, good words, good deeds.' The Zoroastrians are fastidious and meticulous where their religion is concerned, and their festivals are also structured to reflect the chief aims of Zoroastrianism. Take into account that the Parsis are a very close-knit group, and you have festivals that are celebrated almost strictly within the community, and confined to the homes, community centres and temples. The Parsi calendar is divided into 12 months of equal length and five festal days. The five festal days are presided over by guardian angels. So are each of the other days of the year. So, loosely, every day of the year could be considered special. The Zoroastrian year has six seasons, and there is one major festival in each season - feasts known as Gahambars, that later got associated with religion. The Zoroastrian feasts are elaborate affairs. Festivals are ritual-oriented, and temple-worship, feasting and community interaction are central to them. So does munificence. Charity plays an important role in a Zoroastrian's life. 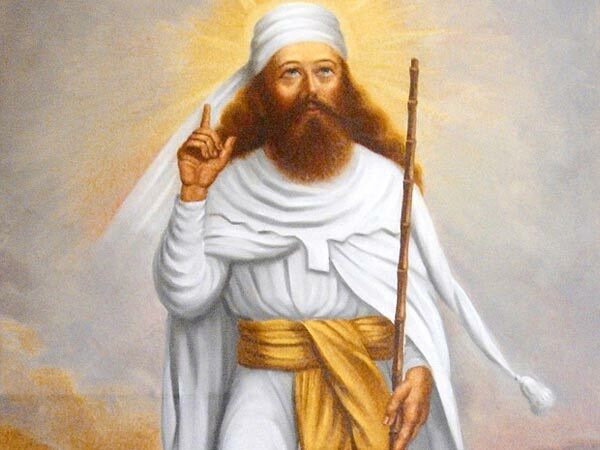 During festivals or sacred days, the Zoroastrians are instructed to be especially generous and rededicate themselves to their pledge of justice and charity. In traditional Zoroastrian society, celebrations are closely communal and, as a rule, non-Parsis are not allowed into their places of worship. Zoroastrian festivals occur during different months of the year, depending on the calendar that is followed. There are three different calendars, and three sects of Zoroastrians based on the calendar they follow. However, most of the Zoroastrians in India follow the Shehanshahi, or Parsi, calendar, not the Iranian (Kadimi) or the Fasli calendar. According to this, the new year, Pateti, falls sometime in August. The Kadimi new year is not officially recognised in India, though the Fasli new year, Jamshed-E-Navroz, is. The other important Zoroastrian festivals are Khordad Sal, the birthday of Zarathushtra; Muktad, All Souls' Day; Zardosht, the day commemorating the death of Zarathushtra; and Adar roj nu Parab, the birthday of fire. There are also festivals in homage to justice, water, the rains and fertility. Besides, specific rites are prescribed for the special occasions of a Zoroastrian's life, like birth, initiation (Navjote, the sacred shirt and thread ceremony) marriage (lagan) and death. In a closed community like the Zoroastrians', whose celebrations don't spill over into the streets or even out of their homes and temples, it can be very difficult to know what their religion and festivals are like, except from a source. But if you can get access to a traditional Zoroastrian home, you could get one side of the picture first-hand.